1. Betatron accelerator program has moved its launch date to 13th February 2017. 2. In order to provide the most value and to give startups the maximum chance of success, Betatron will extend the program length from three to four months. HelperChoice, a Hong Kong-based online platform for domestic workers wins the IMPACT² WORLD AWARD, an award that recognizes startups who aim to tackle significant social and environmental problem. 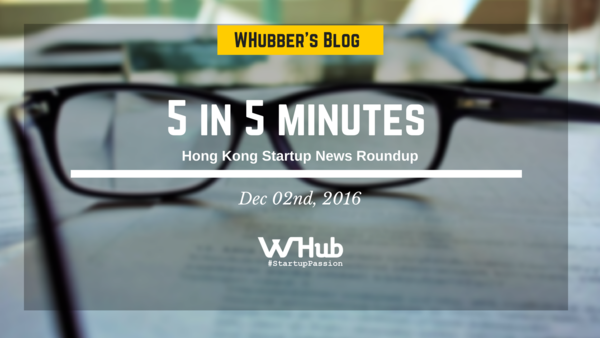 The Hong Kong edition was held on November 22, powered by the Jockey Club Social-Tech Incubation and Youth Entrepreneurship, with 10 startups pitching their idea in front of a panel of judges in the hope of becoming a finalist. HelperChoice has won the IMPACT² WORLD AWARD Hong Kong edition and the team will represent Hong Kong in Paris next year at Impact² World Forum. Air Halo, a cordless air sanitizer that brings active germicide performance, has successfully raised over £40,000 (around US$50,000) by 264 backers on KickStarter. Half of the backers are based in the United States, with the rest coming from European countries and South-east Asia. GuestReady announced it has successfully raised HKD 6 million in a round led by Swiss Founders Fund (SFF), with the participation from Senn & Partner Holding Ltd. and Georg Bauser, former director at Airbnb. 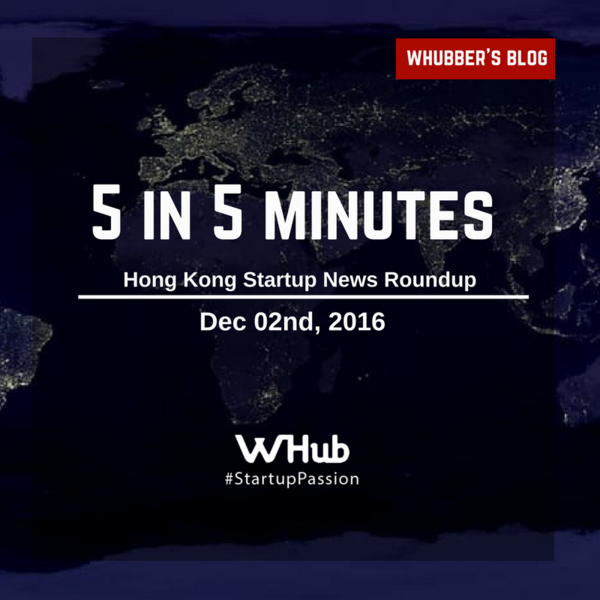 The startup operates in Hong Kong, Singapore, Kuala Lumpur, London, Paris, and Amsterdam at the moment. The 12th edition of the HKTDC InnoDesignTech Expo (IDT Expo) opened on December 1st and continues through December 3rd at the Hong Kong Convention and Exhibition Centre (HKCEC). With the increasing popularity of virtual reality (VR) and augmented reality (AR) technology, the IDT Expo launched a “AR & VR for Business Zone” this year, giving visitors a first-hand experience of their applications and providing inspiration for entrepreneurs. Another highlight of the expo will be "Get in the Ring", a pitching event organised by Retro Spot, where entrepreneurs will attempt to win over judges and the audience with their innovative ideas. Steel Available, one of the startups of the pre-acceleration program StartupNext, is in the finals of “Get in the Ring” pitching competition! Appier, a Taiwanese artificial intelligence startup that helps marketers make data-driven business decisions, has raised US$42.5 in Series B from Pavilion Capital International as well as WI Harper Group, FirstFloor Capital, and Qualgro. The funding will be used to power technology development and international expansion.